← Production: #2802 – Gold Sandwich Adapter. I received an note from Bob Lester saying he is just a few hours from the 800 hour mark of Corvair power on his Pietenpol. He has done this in about 48 months. 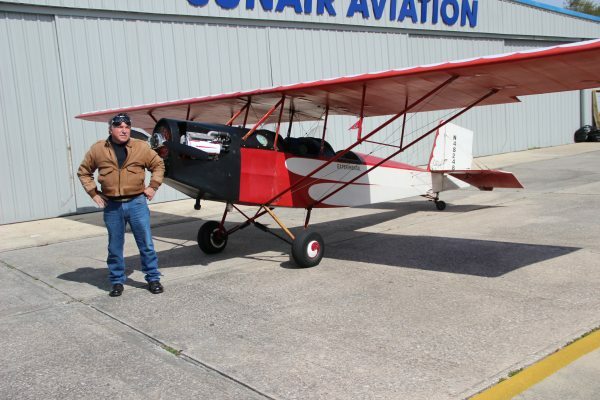 The airframe was built in the 1970s with a 65HP Lycoming, but bob bought it, did a lot of work to the plane, and has been logging hours on his 2,700cc Corvair ever since. Has off to Bob on this milestone. Above, Bob and his plane at CC #39 last month. The planes large wheels are Harley front mag wheels with smooth covers. Above Bob Lester and Steve Makish. 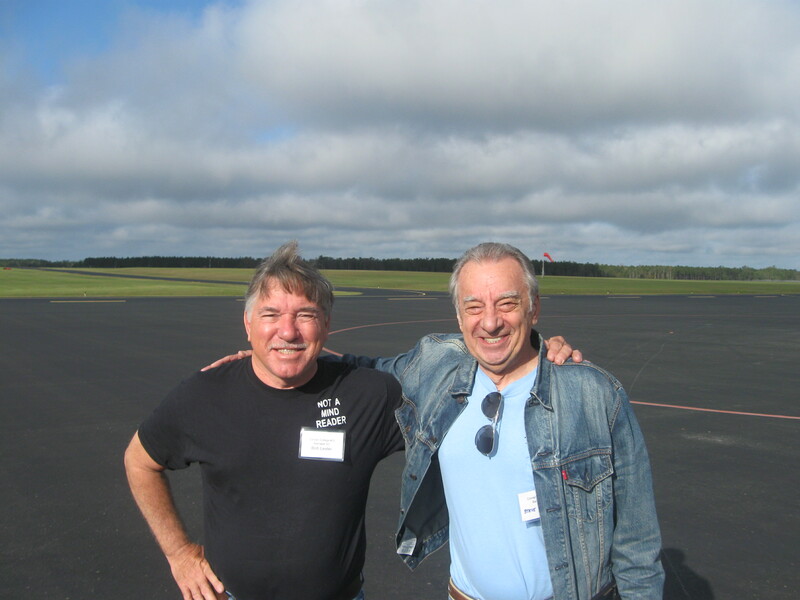 These two old friends attended a number of early Colleges in a pair of Corvair powered KR-2s. Today Bob has his Corvair in his Pietenpol. They have known each other through 30 years of flying. Above my favorite Bob Lester photo, where he naturally strikes the “Intrepid Aviator” pose with his Pietenpol at CC#25. He is good at this because he has seen every old aviation movie ever made. I have to coach other pilots on getting the pose right, but not Bob. 4 Responses to Bob Lester’s Corvair/ Pietenpol nears 800 hours. 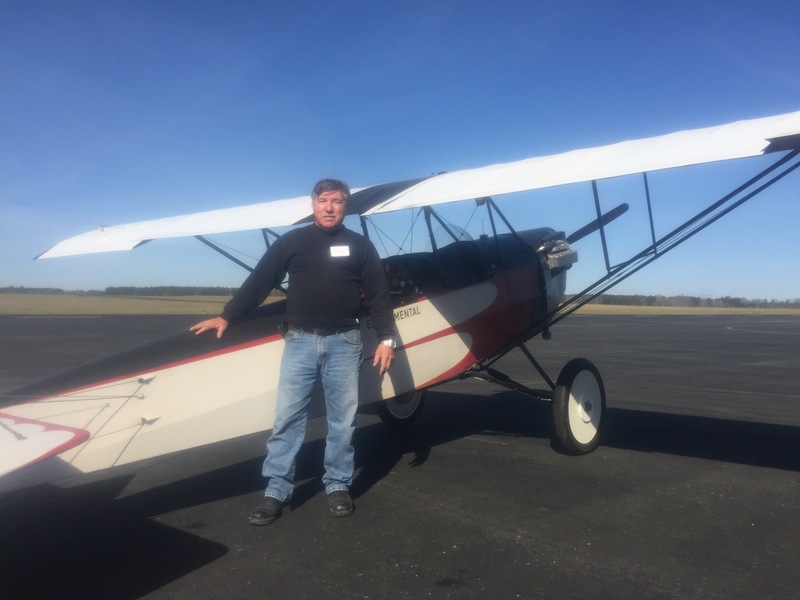 When I first saw the mention of a 65 hp Lycoming I thought that was a typo, you must have meant Continental, but I read one of the original posts that were referenced and see that it was correct. I had never realized that Lycoming actually built an engine in that size range so I learned something new. What was shocking though was the part where he had an aircraft that could barely do 300 fpm solo on a good day, that was a dangerously underpowered aircraft and it was a wise decision to make the switch to the Corvair. I can understand the desire to replicate old designs but no see need to replicate the very poor performance that came from the limited available power in those early days. William I hope things are OK with you. Not a usual thing not to see a post from you in a week! 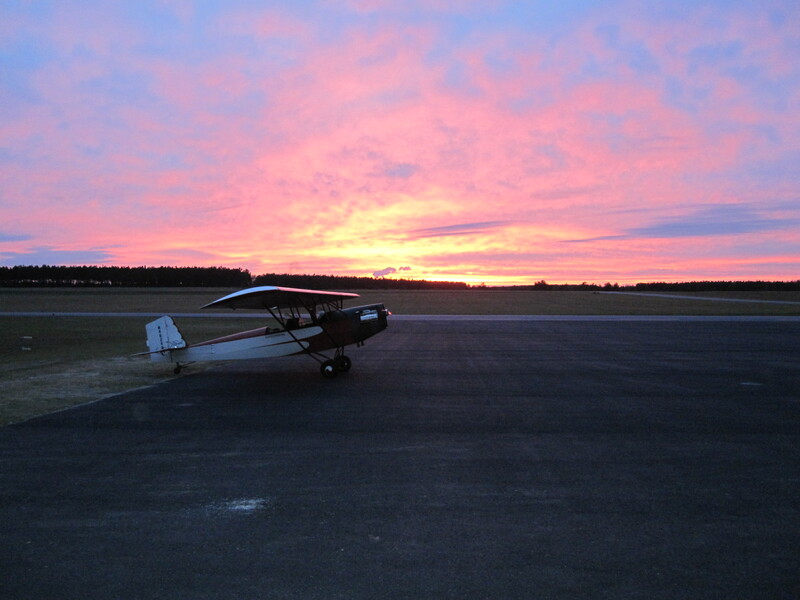 You provide a huge advantage to those pilots building and flying their own engines. Ed, I’m still here, just been working on some projects and parts, and I have let a bit of time pass without writing. I have some good new stuff in the pipeline for this weekend. ww.